GridTrak allows you a more effective means to harvest grid data from your health assessments. GridTrak nallows you to view street maps, photographs, specific poles or circuits, and GPS maps. 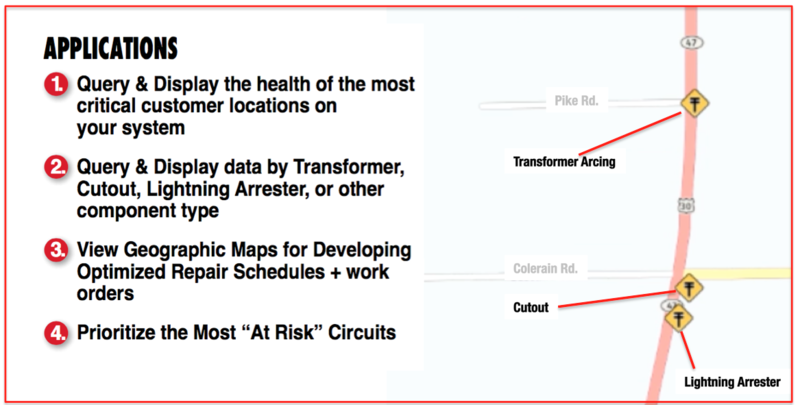 It also allows you to add key assets into your map views like substations, industrial parks, downtown areas, or other critical points of concern on your system. 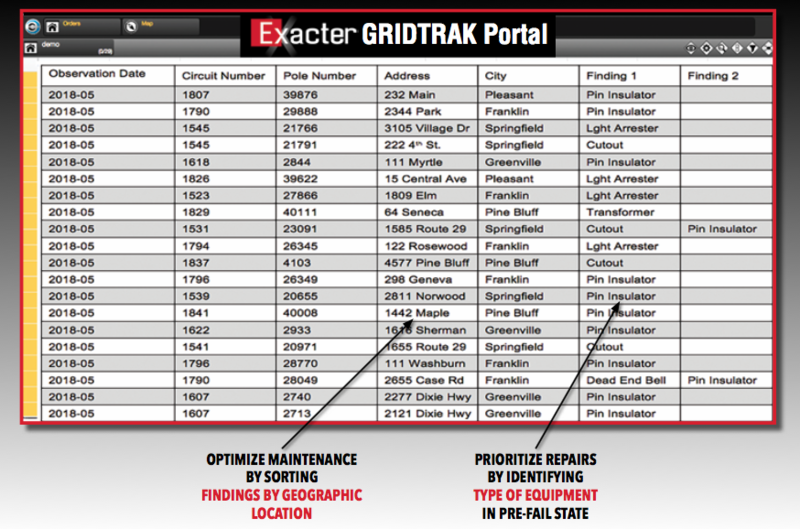 Purchasing Exacter GridTrak enables a signficant amount of your grid assessment investment to be capitalized – meaning your Exacter assessment moves from an operational expense to primarily a capital budget item.